DUBLIN CITY COUNCIL has extended the 30km/hr speed limit in the city to residential areas and in the vicinity of schools. Councillors voted on the matter in December, with 37 voting in favour, eight against and two abstentions. The speed limit will apply to residential areas between the Royal and Grand Canals. In May, a number of other residential areas will also switch to a 30km/hr speed limit, including Glasnevin and Crumlin. Speaking after the vote was passed, Green Party councillor Ciaran Cuffe said all the evidence pointed to the measure making the streets of the capital safer. 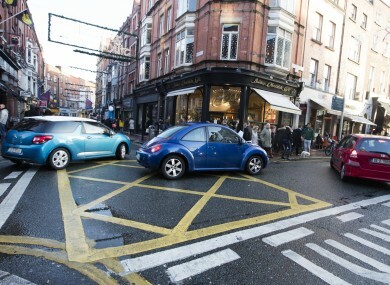 The AA, however, had proposed increases to the speed limit in the city centre and the quays, and in locations such as Fairview Strand and Cork Street. Email “30km speed limit rolled out on further roads across Dublin city”. Feedback on “30km speed limit rolled out on further roads across Dublin city”.